I recently learned in a new business pitch that more and more GenZennials define themselves as gender fluid. Almost half of the next generation who will be entering the work force. Imagine how different our workplace will be in the decade ahead as a result. Last year, my child, Alice, aka Kyle, came forward to share that he would now be known as a she in honor of her true self. I’ve watched her experience true joy in being allowed to express her true self. It took me all of 30 seconds to tell my child (whose hair was purple at the time), “I don’t care if you’re purple, it’s you I love.” She responded, “Thanks, especially because I am purple right now.” We laughed, hugged and that was it. Many of my friends and colleagues were surprised at how easily I accepted this shift. But, I don’t believe we should define people by the external. It’s what’s going on inside, at a soul level, that is what we should be paying attention to. Needless to say, I’ve been doing a lot of thinking about gender fluidity in my personal life. But, interestingly, recent events have also shifted my focus toward what fluidity means in my professional life. My eyes have been opened to how difficult it is for us to accept fluidity in general. Fluidity isn’t just a gender issue, although I don’t want to minimize the shift that is happening culturally and the courage it takes to step forward. Fluidity is also about embracing those who have different work styles, creative approaches or personas. As leaders, we often define mentorship as showing someone how to “do your work the way I do.” I’ve come to learn that this approach is counterintuitive to what true mentorship is. If we make people present, or create, exactly like us, we actually dilute the unique gifts and talents they could and should bring forward to our work. In new business pitches, we often coach people to use our words, gestures or imagery. I’ve seen that diminish confidence, stifle authenticity and have a negative impact on how they show up in the room. It’s really hard to be someone you are not. So, why do we teach or expect it? Last year at Ketchum was about Liquid Teams. Let’s make 2019 about Fluid Teams. If we go with the flow, good things will follow. Hilary Hanson McKean serves as global partner and president, North America. In addition to her global and regional leadership roles, Hilary drives global brand strategy and integration for a variety of Ketchum clients. 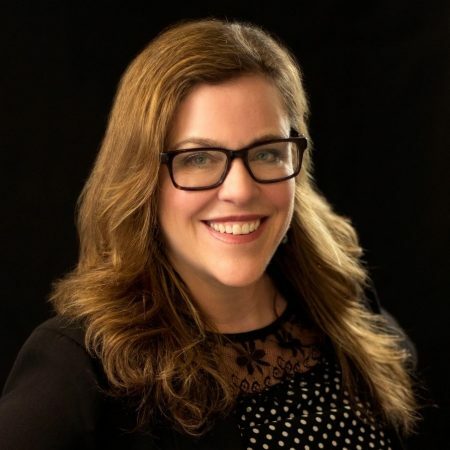 Hilary is dedicated to brand insight and innovation – whether leading global workshops on connecting with millennial influencers or working with Ketchum’s practice leaders to bring forward differentiating offers to accelerate growth. Prior to her current Ketchum work, Hilary served as the Director of the 1996 Olympic Torch Relay. She is a Phi Beta Kappa graduate of the University of Oregon School of Journalism, proud parent to two college students, avid skier and traveler.